On Thursday, I had the pleasure of attending the first Digital Death Day in Mountain View, CA. For those of you keeping track, that’s a long way from NC, but the trip was well worth it. 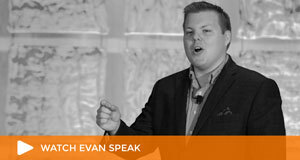 I left refueled with ideas, inspiration and connections. In this post, I’m going to cover all of the great folks I met. I also recorded podcasts with several of these folks and will share those in the next few days. You can also expect a compilation of everyone’s session notes, which I will share when they become available. It was a pleasure to finally meet Jeremy Toeman and his business partner Adam Burg from Legacy Locker. They’re both good guys and share a spirit of cooperation, not necessarily competition. Speaking of competition, it was good to see Nate Lustig from Entrustet again. Both Legacy Locker and Entrustet (along with DataInherit who couldn’t send a representative) were sponsors of the event. I also met Sam Beal, founder of online-legacy.com. Sam is helping older individuals record their family stories in digital form. I was especially impressed by his telephone service that allows non-Internet users to phone in their stories. They are then preserved, like a voicemail message, for their family. The oral tradition preserved digitally—what a great idea. Stacey Pitsillides, PhD student and creator of digitaldeath.eu, joined us from London. I’ve followed her work for some months now and I was pleased to meet her. She also shared some great videos with the group and is going to lend her design talents to the group in the future. Some professions are slow to change, and with digital death we deal with at least two of them: funeral directors and attorneys. We had both in attendance at Digital Death Day. I was pleased to meet Nathan Dosch (www.digitalestateplanning.com) and Ryan Thogmartin (www.connectingdirectors.com) who are leading the digital charge in both of these industries. Kudos to both of them. I also want to mention Dazza Greenwood, executive director of the eCitizen Foundation, which addresses legal and policy issues for tomorrow’s Internet systems. I’m personally excited to see a policy leader in the group and I’m sure Dazza and the Foundation will help us raise awareness and create policies for dealing with death on the Internet. Of course, I also have to recognize Kaliya Hamlin and her team for coordinating the event. Having everyone in the same room was exactly what our community needed to move forward. There were many others who contributed great ideas—too many to name. Thanks to everyone for the great ideas. I’ll devote a future post to the new ideas that came out of the event, but for now I’ll say that the event was an overwhelming success and I look forward to Digital Death Day 2011. (I’ve actually signed on to help coordinate the next event.) It’s an exciting time for the Digital Death community. Onward! Thanks for posting this informative recap of the conference. As a Funeral Consumer advocate I am concerned that the funeral consumer is quickly educated on this topic. 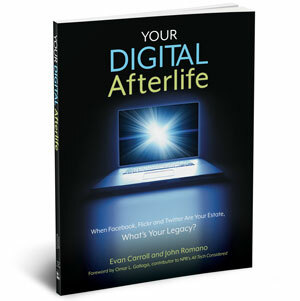 Digital Death is important to the Future of Funerals. Thanks for the round-up of DigitalDeathDay! We are delighted that the event was such a success and hope that, in addition to sponsoring, we can make it to next year’s event and meet people from our industry face-to-face.